SACRAMENTO, Calif. /California Newswire/ — Today, Calif. Governor Edmund G. Brown Jr. proposed a $176.6 million spending plan to fund expedited and expanded testing and cleanup of residential properties, schools, daycare centers and parks around the former Exide Technologies facility in Vernon, California. 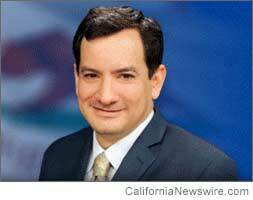 The Administration’s plan was detailed today in a Department of Finance letter sent to the California State Senate and Assembly Budget and Appropriations Committee chairs. The $176.6 plan will ensure all residential properties, schools, daycare centers and parks within the 1.7 mile radius of the Exide Technologies facility are tested and contaminated soil removed where lead levels are the highest and potential exposure the greatest. 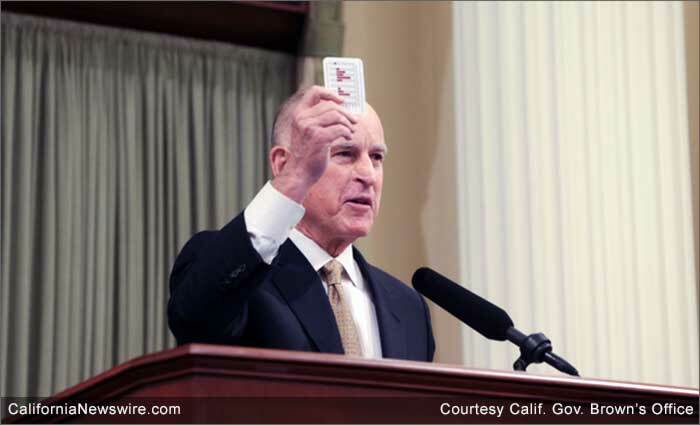 This plan expedites and expands efforts already underway and includes an exemption to the California Environmental Quality Act. The full text of the letter is copied below and can be found here (PDF): http://gov.ca.gov/docs/2.17.16_Exide_Letter.pdf . The purpose of this letter is to inform the Legislature of the Administration’s intent to pursue an additional appropriation in the amount of $176.6 million from the Toxic Substances Control Account to expedite sampling and cleanup of lead contamination in the residential area surrounding the Exide Technologies facility. The State will vigorously pursue Exide and other potential responsible parties to recover the costs of this cleanup. Exide Technologies is located in the City of Vernon, about five miles southeast of downtown Los Angeles. The facility occupies 15 acres in a heavily industrial region with surrounding residential areas. Facility operations included recycling lead-bearing scrap materials obtained from spent lead-acid batteries. This facility ceased operations in 2014 and permanently closed after the Department of Toxic Substances Control notified Exide that its application for a new permit would be denied. The Department then ordered Exide to test and clean up residential properties and conducted its own testing. The Department’s analysis indicates that releases from the facility deposited lead dust across an area of southeast Los Angeles County, resulting in contamination extending 1.7 miles from the facility and impacting up to 10,000 properties, including residences, parks, and schools. In August 2015, $7 million of emergency funding was approved to test up to 1,500 residential properties, parks, schools, and daycare centers in the surrounding community; develop a comprehensive cleanup plan; and begin cleanup of the highest priority sites based on the degree of lead contamination and other exposure factors. To date, the Department has removed more than 10,000 tons of contaminated soil and analyzed more than 20,000 soil samples from hundreds of properties. The Department has also established an Advisory Group of community leaders, local residents, business leaders, scientists, and elected officials to help guide closure and cleanup efforts. The Administration is now proposing additional funding in the amount of $176.6 million from the Toxic Substances Control Account to test the remaining properties, schools, daycare centers, and parks in the 1.7 mile radius and remove contaminated soil at the properties that have the highest lead levels and greatest potential exposure to residents. In addition, the Department will conduct specialized tests and analyses to conclusively identify the source of the contamination and hold Exide – and any other responsible parties – accountable. For the purposes of expediting the cleanup of the contaminated sites, this proposal also includes an exemption to the California Environmental Quality Act. However, the Department will analyze and mitigate adverse impacts that may occur from the cleanup activities. The plan provides resources to expand community engagement in the testing and cleanup process, enhance coordination and job training for community residents, and promote the use of local business and labor for contracting purposes. The $176.6 million appropriation from the Toxic Substances Control Account will be supported by a loan from the General Fund. This loan will enable the Department to address the significant public health concerns in the communities surrounding the Exide Technologies facility in an expedited manner. However, cleanup costs initially incurred by the State will ultimately be sought from the parties responsible for the lead contamination. In addition, the Governor is directing the Department to evaluate lead-acid batteries through a Hazardous Waste Reduction Initiative. The analysis could result in identifying lead batteries as a “Priority Product” under the Safer Consumer Products program, which will require manufacturers to evaluate the product’s health impacts and consider ways to reduce impacts. Please call me or Ellen Moratti, Principal Program Budget Analyst, if you have any questions. “This long-fought victory is a result of Assembly, Senate and local officials working together to raise the fierce urgency of this issue to the Governor. “I especially want to acknowledge my colleagues Miguel Santiago and Cristina Garcia for their relentless devotion to restoring justice to East and Southeast L.A. residents victimized by the illegal behavior of Exide management. 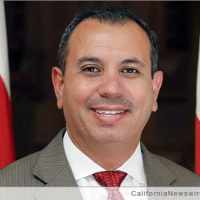 Senator Tony Mendoza (D-Artesia) released the following statement regarding Governor Jerry Brown’s request for $176.6 million to fund expedited and expanded testing and clean-up of residential properties, schools, daycare centers and parks around the former Exide Technologies facility in Vernon, California. The 15-acre Exide Technologies site is located in the City of Vernon approximately five miles southeast of Downtown Los Angeles. The facility recycled lead-bearing scrap materials obtained from spent lead-acid batteries. It ceased operations in 2014 and was permanently closed after the Department of Toxic Substances Control (DTSC) denied Exide’s application for a new permit to operate. DTSC is now overseeing the testing and clean-up of the site and the residential properties in the nearby communities.